Print vs. Digital Books: Where Do You Fall? On National Book Day, I like to reflect on my reading from the past year. I know I’m a total nerd, but it got me thinking about how my reading has changed from mostly print publications to mostly digital in the past year. I still love print, but I wanted to see what others thought. 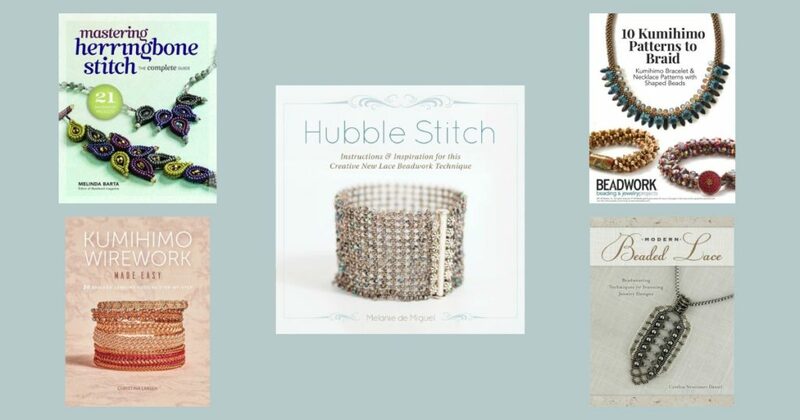 So, I asked the Beadwork staff what they prefer and use, print or digital books. Keep reading and then join the conversation! I’m an avid reader or, I’d like to be, especially during the summer. If the wind is right and time is mine, you can find me stealing away on a chair in the sun reading a magazine or the latest installment of one crime series or another (I keep up with two). When asked if I prefer a hard copy to a digital version my immediate reply is hard copy, of course! Then I pause and remember the adage, think before you speak. As time has gone on and technology has improved, I find I do like digital copies of books, especially when it comes to technique-based publications. I can then have the book with me no matter where I go or where I sit—my studio, an airplane, hotel room, or the couch! This way, even if I can’t be “making” at the time, I can be thinking of making and plotting my next move or beading supply purchase. 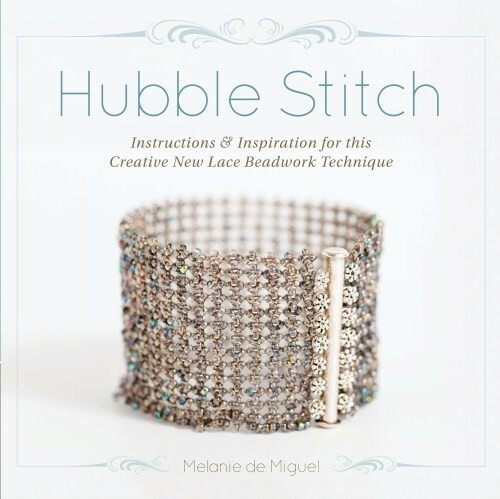 The latest book I’m revisiting is Hubble Stitch by Melanie de Miguel. I love this stitch and know it has more in store for me than I’ve allowed time for. Having this book in digital is also great as it allows me to zoom into images and illustrations—something that wasn’t originally needed for my eyesight, but now may be part of my appreciation (wink!). 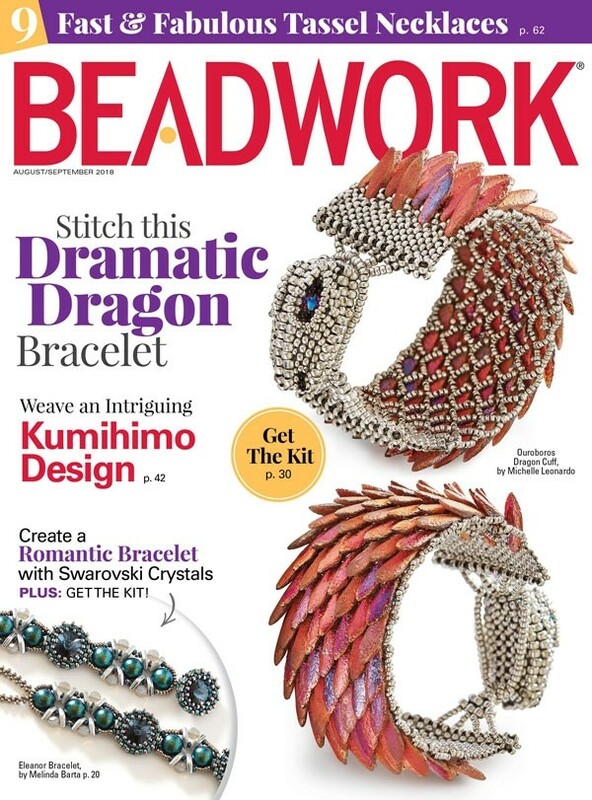 After 25 years of working on print publications, including more than 4 years with Beadwork magazine, I fall firmly on the side of print media. I love the feel of a book or magazine in my hand. When I’m reading, whether for pleasure or information, I often flip back and forth between pages. I also like to highlight sections of text and make my own notes in the margins, especially if I’m working on a beading pattern. Although I do appreciate the ease of electronically searching through a digital file, I still find it easier on my eyes to skim a printed page than to scan a glowing screen. 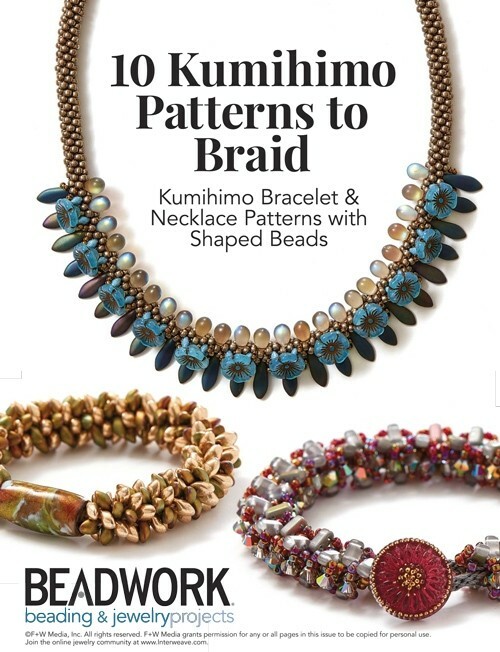 Luckily, some of my favorite Beadwork books are available in both print and digital formats. Maybe I’m more than a little biased by working for Interweave books, but I’ve always been a die-hard lover of print. There’s something about the feel of the paper and flipping through the pages for the first time that really inspires creativity for me. Books are also much easier to pull out quickly and reference, which means not losing steam in the middle of a project. A year ago, I would have most likely condemned digital publication. Not that it’s so bad, but it just doesn’t compare to a physical book. Today, I write mostly in the digital format via blog posts. While print has many benefits, (I do work for a print magazine) I am coming to see the value of the digital publishing world. First, it lets us produce a lot more content! With print runs, there are a specific number of pages printed for monetary reasons, so things have to be cut. 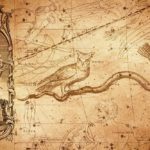 With digital issues, space isn’t an issue and many more ideas can be explored and published. Second, mistakes can be fixed quickly. While we do our best to edit and reread everything that goes out to our audience, no one is perfect. Things slip through and we can put up corrections for print editions (see our errata page), but the mistakes are still there. In blog posts, when something isn’t quite right, our wonderful web producer goes into the posts and can make a correction in minutes! Last, the search function, the bookmarks, and the website links make the digital edition efficient and easy to use, especially when I’m looking for something specific. I’ve spent a lot of my life searching for a pattern in books because I just can’t remember which one it’s in and what page it’s on! Which type of publication do you prefer? Do you love the feel of a book in your hand or the efficient and accessible digital edition? Let us know! We love to hear from you and can’t get enough of this conversation. 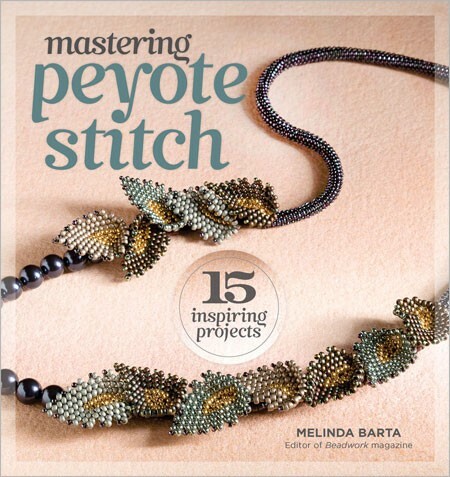 Find print and digital books and issues at the Interweave Store. At one point I received no both digital and print simultaneously, I hardly ever looked at the digital version. I found I always referred to the printed version. 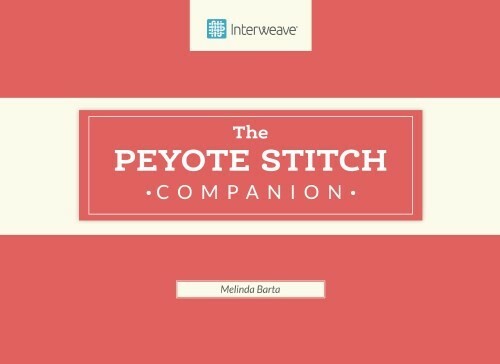 When I receive my magazine in the mail, I always do a printed index of each issue, and rate each design as to whether or not I would like to do the piece, as well as what stitch(es) were used. I then place the magazine issue, plus my index sheetinto protective sleeves, and then into 3 ring binders. I now have 20+ binders from 1992 on, including both Beadwork and Bead & Button. These make up my bead library, along with print books from various authors throughout the years – and I use them all the time. I have every issues ever printed. I have to give them away to move. If you would like me pre-1992 copies, I’ll charge you just for shipping. They are in white binders which are marked with the year. I’n a hard copy gal all the way. I have purchased a few patterns in digital because I didn’t want to search for the pattern in my magazines. But that’s a function of laziness! Like one of the other readers, I have both my beading magazines in binders along with my many books! I love going to the book case and run my hand along their spines and finally pulling my choice off the shelf. I have read most of my magazines and books from cover to cover. I read almost everything digitally now. I love the fact that I can take so many books and magazines with me any time at all. I have a couple of tablets that I do most of my reading on. I enjoy the search function and I really like that I can zoom into pictures and diagrams. Also, living in a small apartment space is at a premium so I find I don’t keep as many paper books as I used to. I gave away all my paper magazines and I have them all digital now.